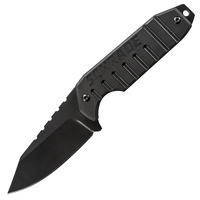 The Ka-Bar Black Fighter is one mean looking combat knife! 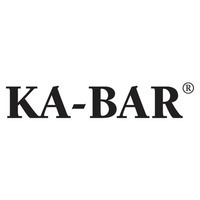 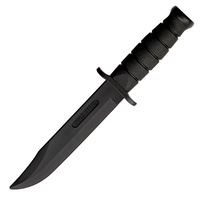 The 1 1/2" wide blade of the Ka-Bar Black Fighter gives it extra strength for performing heavy duty tasks and is perfect for military use. 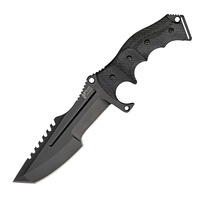 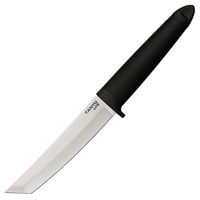 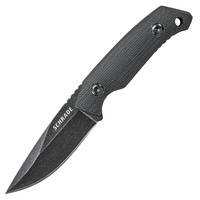 The Black Fighter measures 12 7/8" overall and features a partially serrated 8" black epoxy powder coated 1095 cro-van steel blade. The black Kraton G handle provides a superior gripping surface and the knife is finished with an epoxy powder coated carbon steel guard and pommel. A black leather and Cordura belt sheath is included. 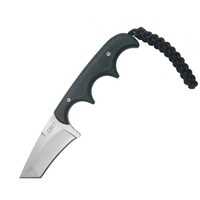 Have carried this knife on a couple of tours now and needless to say- it has stood up! 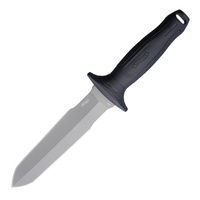 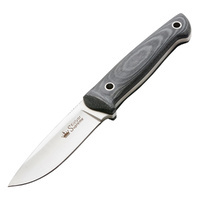 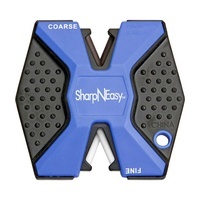 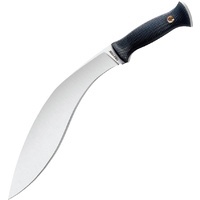 This a great time-tested combat knife design and comes highly recommended!